On July 7th, 2011, the U.S. Consumer Product Safety Commission, in cooperation with Edushape, Ltd., announced a voluntary recall of their Mini Stars building sets due to a potential choking hazard. As of July 7th, 2011, no injuries have yet been reported, but the CPSC and Edushape have received two reports of the knobs breaking off from the center of the stars, so consumers should be aware that the plastic knobs can break off from the center of the stars, posing a choking hazard to young children. The Mini Stars measure three inches in diameter and are made of opaque plastic. Each star has six circular knobs protruding from a ring-shaped center. 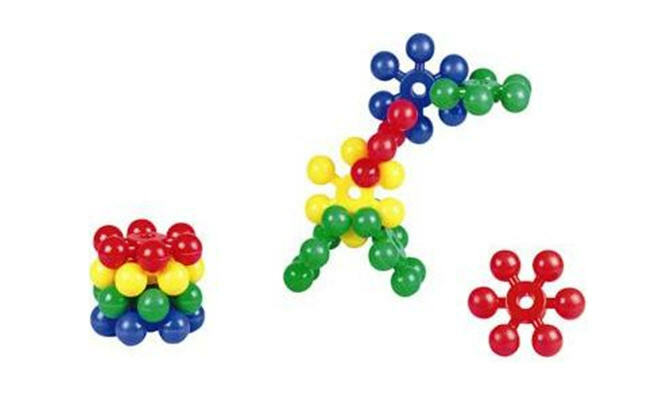 Edushape only makes Mini Stars in red, green, yellow or blue colors which are included in this recall. The Mini Stars do not have any markings, codes or logos stamped into the plastic. They were sold in sets of 12, 24, 36, 48 and 72 pieces at small retail stores nationwide, online at Toys R Us.com, Amazon.com and CSN on walmart.com from January 2007 through December 2009 for between $10 and $50 and were manufactured in China. What should you do if you own this product? Consumers should immediately take the recalled Mini Star building sets away from children and contact Edushape for a free replacement set or credit towards another Edushape product of equal or lesser value. Consumers should further be advised that it is illegal to resell or attempt to resell a recalled consumer product. For additional information, contact Edushape at (800) 404-4744 between 9 a.m. and 4 p.m. ET Monday through Friday, or visit the firm’s website. Additional information can also be found at the CPSC website.